Well, unless you've been living under a rock the last year and a half, you probably already know that Animal Crossing: Wild World has shipped today and will be in stores tommorrow. While "camping out" probably won't be necessary, Wild World will probably fly of shelves fast so you better buy quick. Along those lines, I'll be getting up Wild World content as soon as I can. Expect some cool stuff. Nintendo's online store has today started to carry the Nintendo USB Connector for their upcoming WiFi Connection service. Currently going for $34.99 (for US and Canada residents online), the USB Connector will only be available on their online store until early next year. 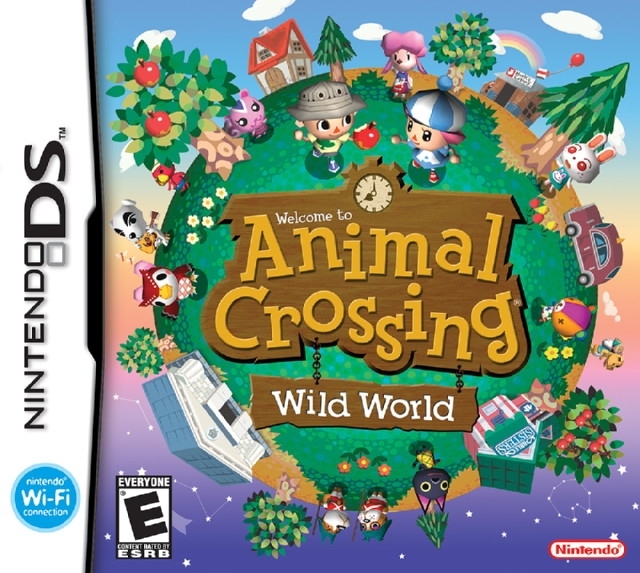 Word has recently hit me that NOE has announced Wild World's European release date to be March 31, 2006, making it yet again the last teritory to get the game by quite a margin. IGN has 2 new videos from Nintendo's Summit with some explinations from Nintendo. Watch a hands-on with Animal Crossing: Wild World and NintendoWifi.com. If you want some info on how Nintendo's upcoming WiFi Connectiong service is going to work, I've got to recomend you go check out NintendoWiFi.com. Right now it's only set up for US and Canada, so if you're not from there, just say you are. It may be a few days late, but we've now got Nintendo's most recent trailer of Animal Crossing: Wild World. Nintendo's been talking about their upcoming Nintendo WiFi Connection for DS and Revolution today. You can read up about it over at IGN. You can also see the logo for nintendo's new service here. One thing that has been clarified once in for all is that you can have up to but only 3 other players in your town at any time as long as they're on your Friends list. We'll have more info about going online with AC:WW when Nintendo says more. I probably wouldn't have posted this had there been any actual Animal Crossing news lately, but Nintendo today announced Animal Crossing: Wild World's Japanese name "Oideyo Doubutsu no Mori" which roughly translates to "Come To Animal Crossing". For importers who can't wait 2 weeks, it'll be out in Japan November 23. 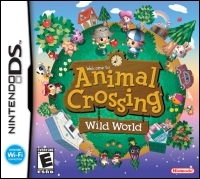 Nintendo has just announced that Animal Crossing DS shall hence forth be known as Animal Crossing: Wild World. You can check out the new logo over at IGN. Nintendo's set the official North American release date for Animal Crossing DS at December 5th. Want a free Animal Crossing destop clock? Well, Nintendo would be glad to give one to you. All you've got to do is fill out their Wi-Fi survey and it's yours. The Animal Crossing Guide got a bit of an update today. I added screens shots to several pages where I could. Specifically the Moving In page, the Equipment page, and the Getting Around page. Today The Series got a bit of an update with more information about Animal Crossing DS and a little bit about Animal Crossing 2. And, the Other Games page got some information about a cameo in Wario Ware Twisted. Massive update to the Animal Crossing cameos page. As I've recently been able to get myself a video capture card I'm now able to take my own Animal Crossing screen shots. Figured the cameo page would be the best place to start. Animal Crossing-e got it's own cameos page as well. You may notice that The Animal Forest looks quite a bit diffrent today. Originaly the site was designed to cover mearly several versions of one game. However, the more I hear about Animal Crossing DS the more I realise that it's a completely new game. As such, TAF had to go through a major overhaul to accomidate several games. There should be some actual updates in the next couple of days or so. So... Have you been wondering if anything has been going on in the world of Animal Crossing? Well, there has. First off, there's a little bit of new info on Animal Crossing DS. I recomend reading this interview and this article on IGN. There's also a new video floating around that I'm trying get to a downloadable version of so I can put it up here, but in the mean time you can watch it over at GameSpot. Oh yea... one more little thing... Animal Crossing Revolution has been confirmed. I'll post up more if I see more. Ww've got a new Animal Crossing DS movie straight from the GCD with comentary from Satoru Iwata about it's online features. Big news has come out about the upcoming Animal Crossing DS today. Nintendo's president Satoru Iwata mentioned that the DS will infact be going online soon and that Animal Crossing will be specifically designed to take advantage of it's features. Hopefully we'll be hearing more about how this is going to work soon. Becouse people keep e-mailing me about these all the time, I've added 2 new pages to the guide. How to visit other villages and how to trade items. I hope this clears some things up for some of you. As promised, the NES games section got way done over. There's alot more info there now, as well as some info on the Japanese only games. While we're on the subject of NES games, you may be happy to know that right now you can nab Punch-Out!! at the UK Animal Crossing website. Ok, you may have noticed that tAF has slightly dead for the last few months. This is mostly because GSI's dynamic servers have been down and I haven't been able to access the news system. I've gotten quite sick of it so, for now, I'll have to do the news manualy. Any way, right now I plan on overhauling a few areas of the site. Particularly the NES Games section. Perhaps get some item lists up. You get the idea. If there's anything imparticular you'd like me to add, just click the comment link up there and tell me.